Pandemic - Kyle and Craig. Thir outfits took forever! DX Note: Zoom in for better quality. Fanpop is fail, so yeah. XD. 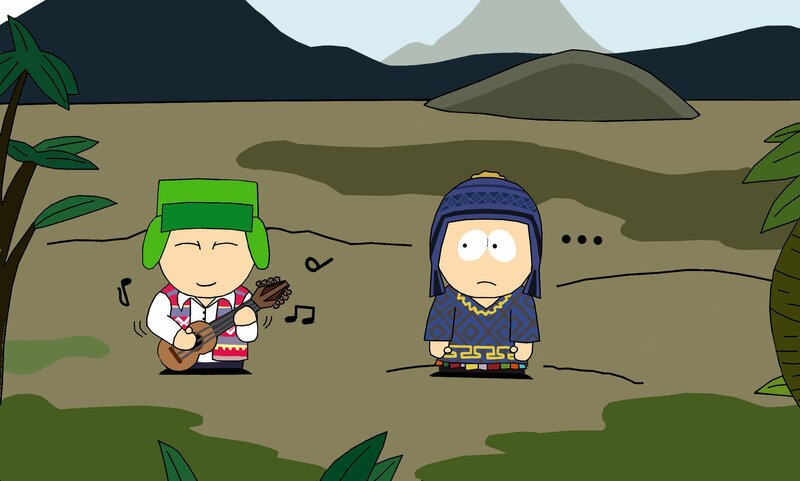 HD Wallpaper and background images in the South Park club tagged: south park pandemic kyle craig peruvian band guitar peru fanart.